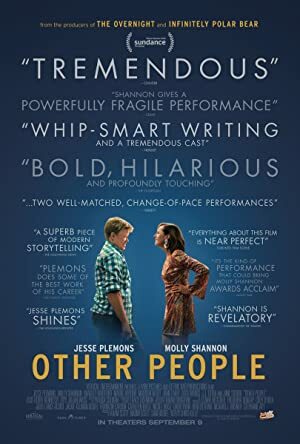 Other People (2016) – What's New on Netflix Canada Today! A struggling comedy writer, fresh off a breakup and in the midst of the worst year of his life, returns to Sacramento to care for his dying mother. After a bad breakup, a struggling New York comedy writer tries to don a brave face and care for his dying mother in Sacramento.